I came across Invitation Jane recently. 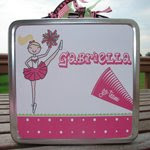 They make custom personalized invitations, stationary, as well as gifts for kids and adults. And that's just a snippet of what they have at the store! Be sure to check out the Invitation Jane blog too! Oh yeah, and they're semi-local to me - they're located in Columbia, Maryland, which is in Howard County! How cool is that?! Mine are personalized with my daughter's name. Even though we received them after the school year ended this year, I'll surely be using them when school starts back up in August here! Here's some more samples of items they make! We are an online boutique offering stylish and chic invitations, stationery and personalized gifts from the best designers in the business. A love for "boutique-y" type products is our passion! We love things that are different and make people say WOW! We love things that are full of bold colors and cool patterns. 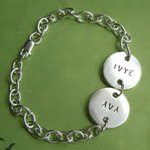 We adore anything personalized. Things that are new and fresh, trendy and fun, sophisticated and classy. Things that inspire and add a little sparkle to your day. Things that are different enough that your family friends just HAVE TO KNOW where you got them! We are Stacie and Jodie, twin sisters and the owners behind the scenes here at Invitation Jane. Ironically enough, we both wound up going down similar paths once we graduated from college. Careers, then marriage, then children. Between the two of us, we have five children ranging from ages 2 to 9 yrs old. Like many other women these days, we both felt compelled to leave our corporate careers to become stay at home moms, and that's when our entrepreneurial spirits kicked in! One idea led to another, and before we knew it we were in the midst of having our boutique-y little website designed and launched. I love everything on the Invitation Jane site! Their items are so cute that anytime I need any invitations or note cards, I'm definitely going to be buying something from them! Everything is high quality and gorgeous!!! Invitation Jane has a group on Facebook - stop by to check it out! 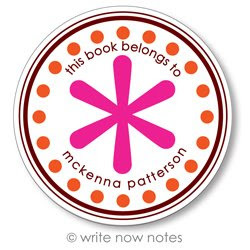 One lucky reader will win a $25 GC to get the personalized item of their choice. As a first entry, go to Invitation Jane, have a look around, and let me know what you'd love to have from the site! As an extra entry, you can join the group on Facebook here! Don't forget to stop by Moody Mama Says and Everyday Baby Steps to enter their giveaways!